Exploring the generation gap through trap. 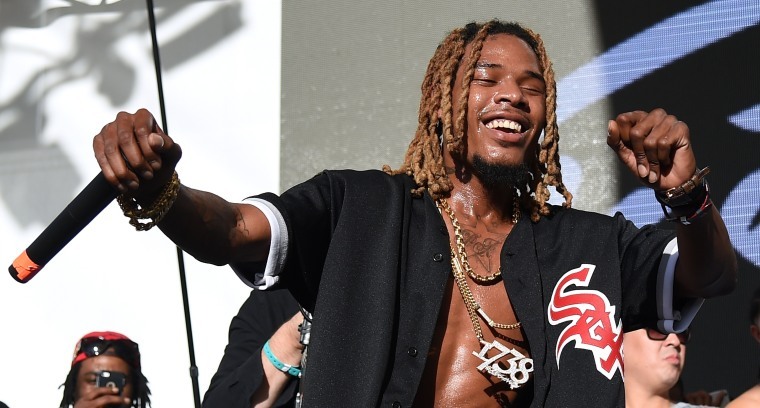 Despite all his milestones like a hit album and a mention on Jeopardy!, Fetty Wap seems fairly down-to-earth for a rapper. That's why, despite being surrounded by flexing, the hook for his latest track "Grandma" is so adorable. His nana wants him to pull up his pants, but he can't, 'cause they're weighed down with bands. I won't spoil the rest, but I'll just say that it's probably the only trap song you'll listen to today that'll make you want to call your grandparents.